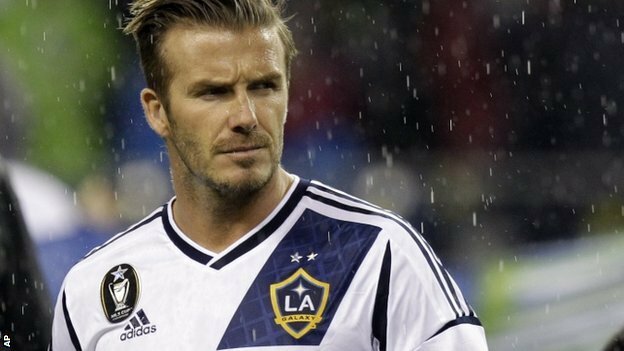 Will David Beckham join Harry Redknapp at QPR? The press is full of speculation about the possibility of David Beckham joining Harry Redknapp at QPR. It’s no secret that Harry Redknapp is a huge admirer of the former Manchester United and Real Madrid legend. It’s been reported that Harry feels that Becks could still play in the Premier League and he hasn’t ruled out making a move for the player. Beckham is currently weighing up his options after confirming that he will be leaving LA Galaxy in December and is looking for one last challenge. Could that challenge be saving QPR from relegation. One thing is for sure, Beckham still has many options from clubs around the world, such is the draw of the man. The ex-England captain is said to be considering the many offers. Would the thought of returning to the EPL for one last swansong appeal to the 37 year old? How would he feel about playing against his former club and the team he still supports, Manchester United? If Harry could tempt him to QPR, it would certainly create a lot of publicity for the Hoops and the EPL. And his reputation and professionalism would surely be a positive influence on the QPR players. But is a relegation battle in one of the world’s most demanding leagues really going to tempt him back? Time will tell. This entry was posted in News, Premier League and tagged david beckham, harry redknapp, premier league, qpr on November 26, 2012 by soccerjerseyplus.